Badlands National Park isn't just for hiking, camping, and photography—cycling in and around it is almost as otherworldly. There are buttes, canyons, pinnacles, and spires, all encompassed by the Badlands Loop State Scenic Byway. 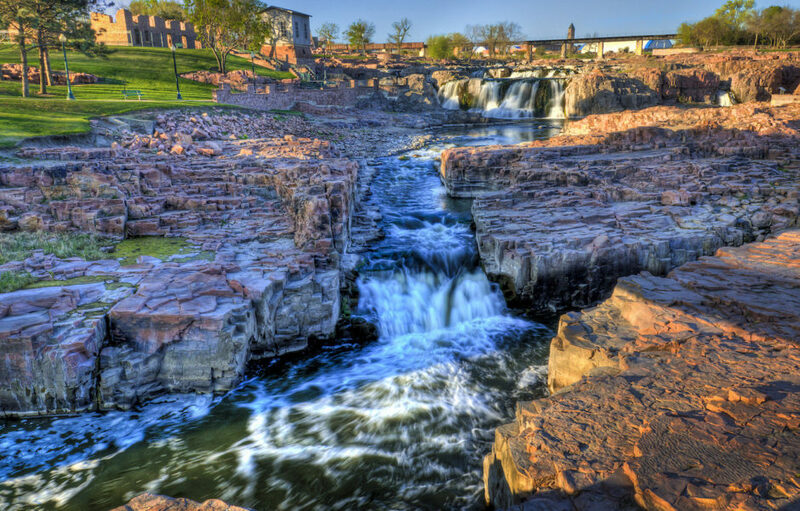 Pictured above are the falls of the Big Sioux River in Falls Park, Sioux Falls. Other features in the city's flagship green space include an observation tower, a café, and the remains of an old mill, making for a special escape in the middle of town. If you're picturing the Black Hills as nothing but dense, rolling forests, you aren't entirely correct. 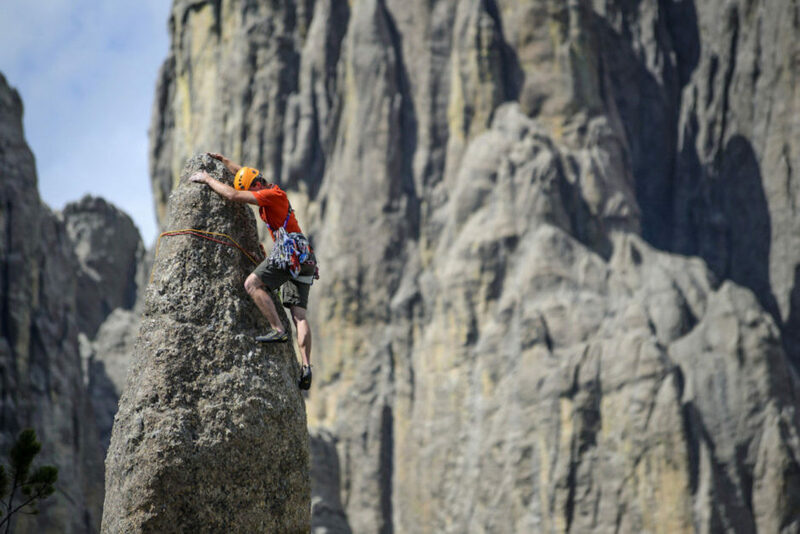 The Cathedral Spires, part of the Needles formation of Custer State Park, seem as if they've been taken from the pages of some fantasy novel—in real life, they make for epic climbing. Mitchell, South Dakota, is home to The World's Only Corn Palace, the exterior adorned in decorative corn and other grains. 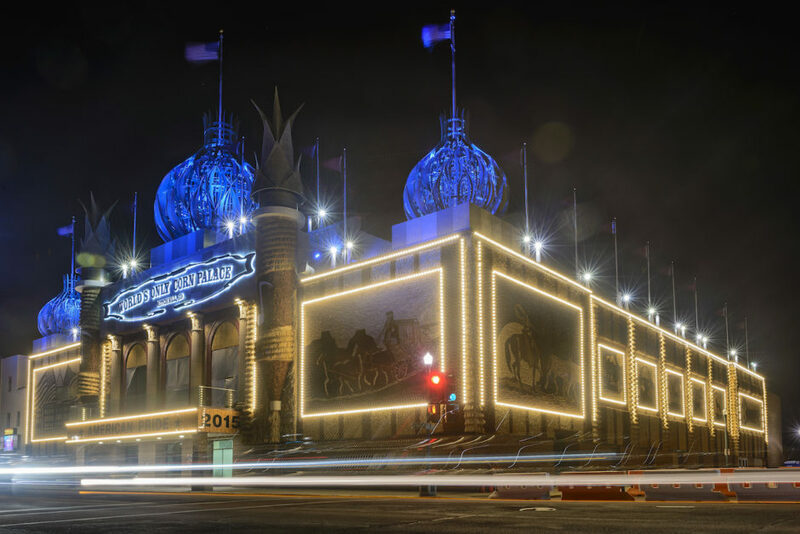 Almost half a million people visit every year, and the building is home to exhibitions, concerts, and events like the annual Corn Palace Festival. It's during this time every year that, apart from visitors gathering for live music, good food, and carnival rides, the palace itself gets adorned with new organic accoutrements and freshly redecorated. You've never seen our national mammal like this. Watching 1,300 buffalo get herded by fearless cowboys and cowgirls is something unique for both your eyes and your ears—hearing 5,200 hooves hitting the turf, you'll think the Earth is moving under your feet. 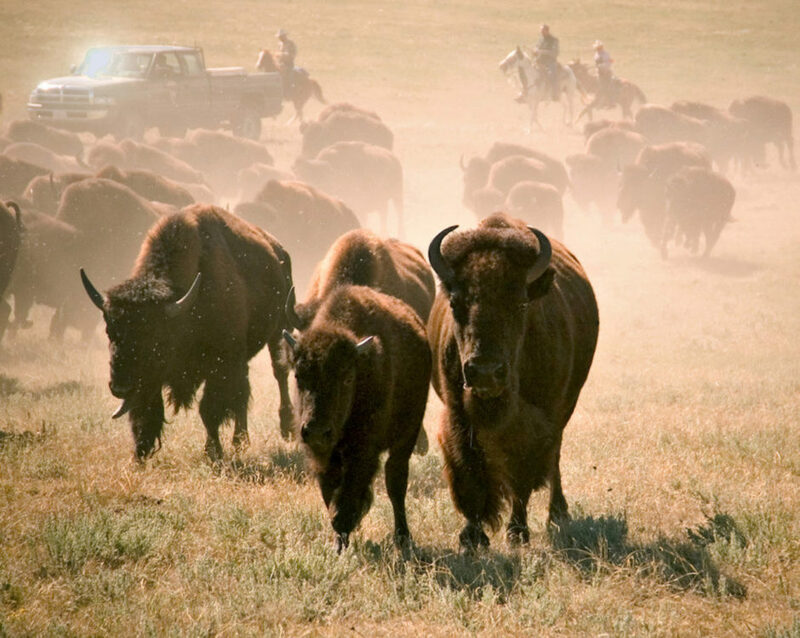 The Custer State Park Buffalo Roundup is held each year at the end of September. This particular scene may seem remarkable to outsiders, but sunflowers actually span the entire state. 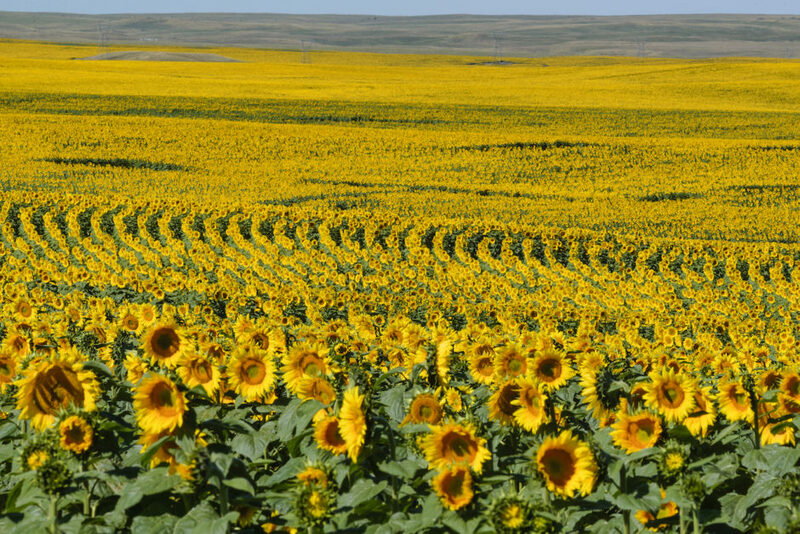 Roughly 875 million pounds are produced every year, making SD—not Kansas—the true "sunflower state." It's one thing to tour Badlands National Park—it's another to go off on your own and explore its alien features and stark landscape day and night with nothing but your pack. Backcountry camping here doesn't require a permit, but you should definitely stop by the Ben Reifel Visitor Center before you head out. 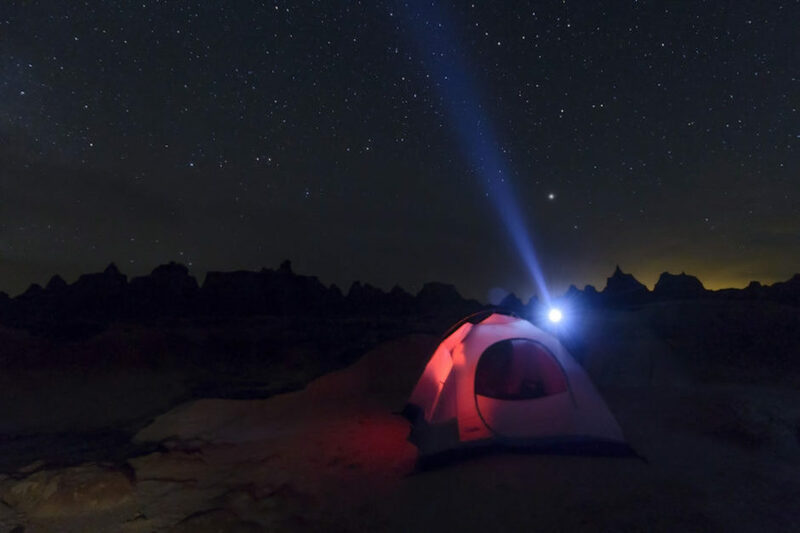 Expect to be rewarded with incredible scenery and unfiltered night skies. 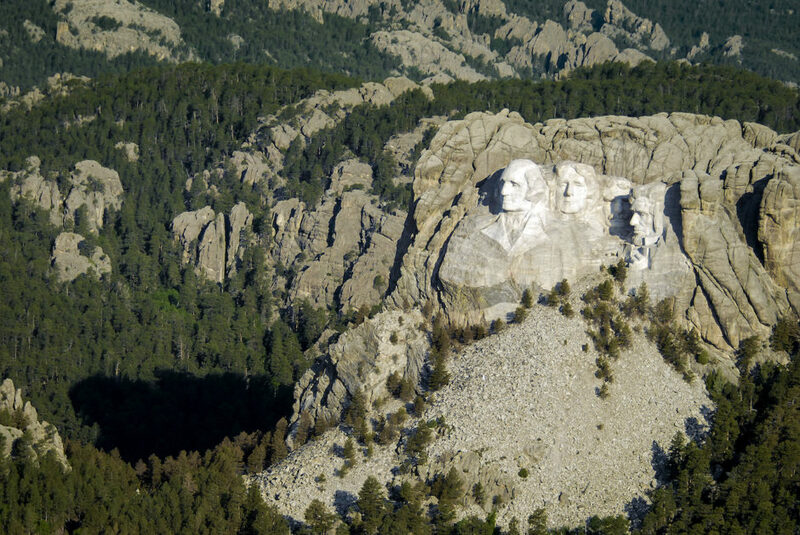 The faces of Mount Rushmore are carved out of granite and touch 5,725 feet above sea level. But they're also only part of what visitors should expect to experience on a trip to the memorial—the surrounding trails and visitor center will greatly enhance your time here. 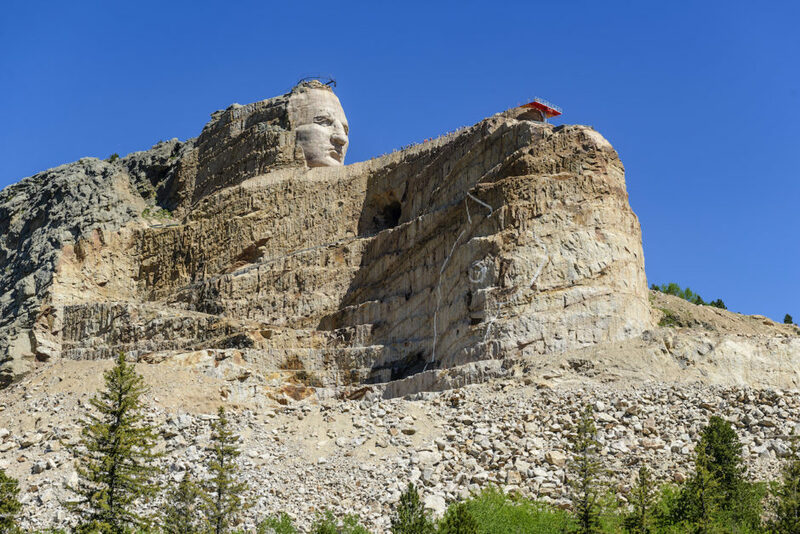 Few places have as strong a Native American heritage as South Dakota. 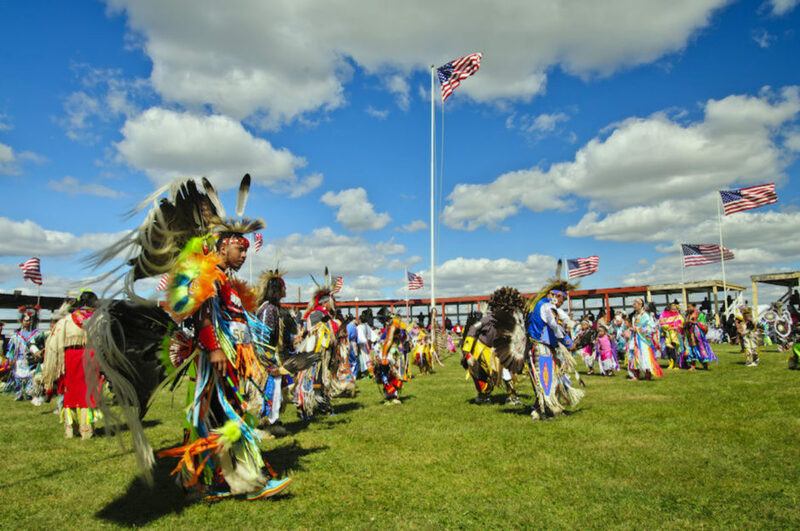 Pictured above is a wacipi, or powwow, where even visitors are urged to take part in song, dance, and storytelling. 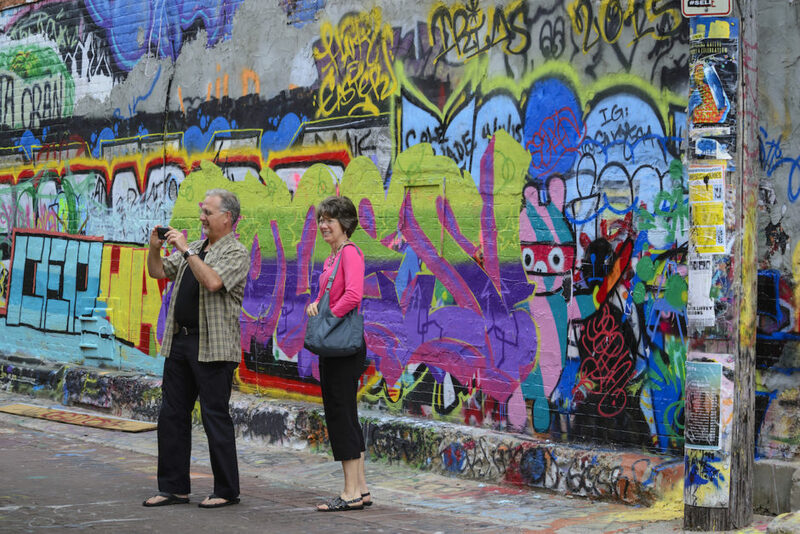 There are dozens going on every year; if you attend, be respectful and follow proper etiquette. 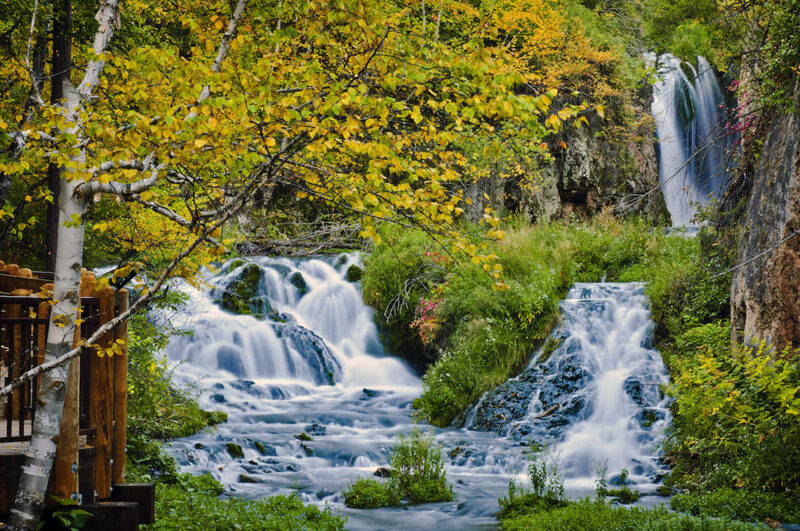 The Roughlock Falls Nature Area, where these falls can be found, is arguably the most photograph-worthy spot in the Black Hills. Surrounding catwalks make the falls themselves especially easy to navigate. When you're there, keep an eye out for the elusive American dipper—a bird that can swim underwater. 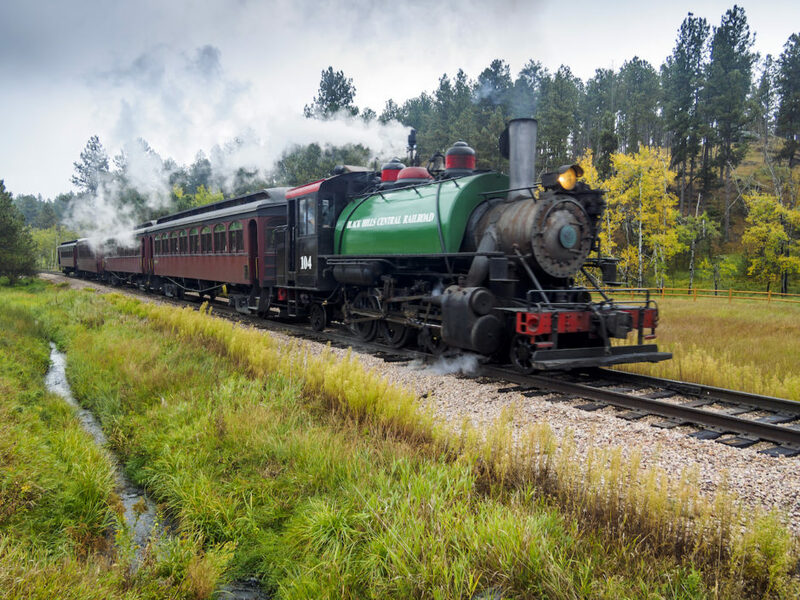 The 1880 Train, a 19th-century steam locomotive, still runs between Hill City and Keystone, South Dakota. 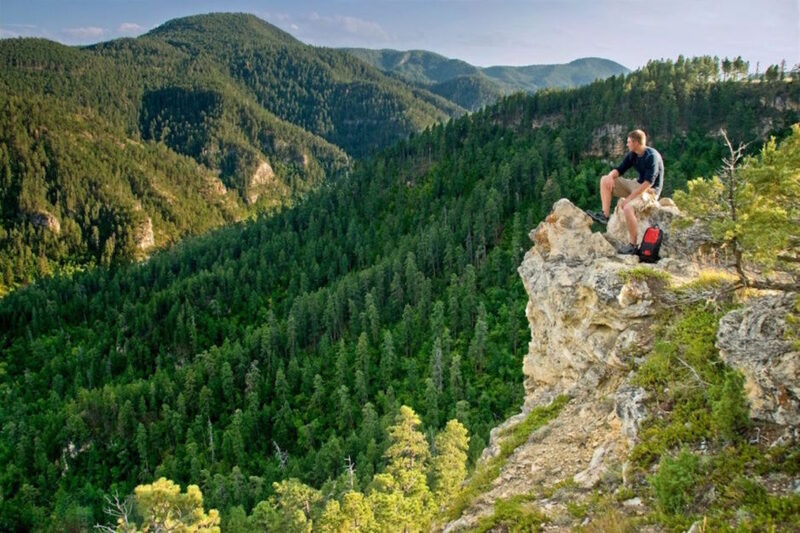 Operating from May to October, it's a 10-mile ride one-way through the scenic landscape of the Black Hills. 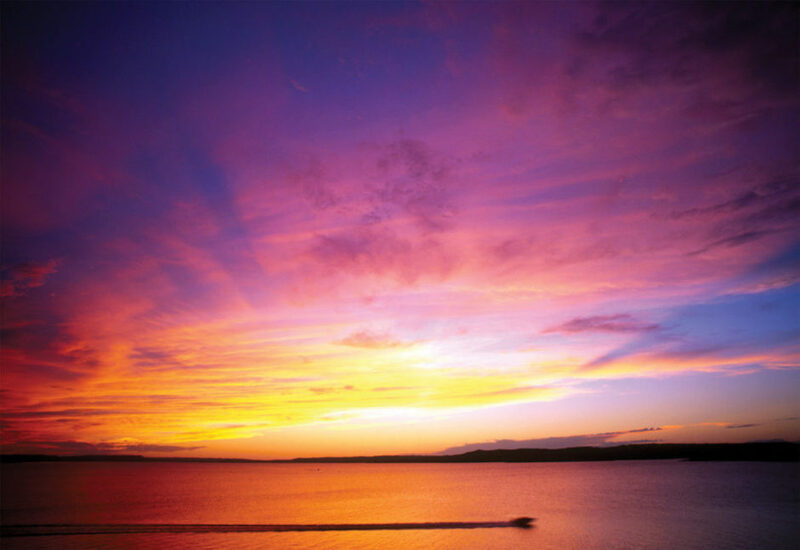 Custer State Park has five lakes, with Stockade Lake being the largest (and most popular). 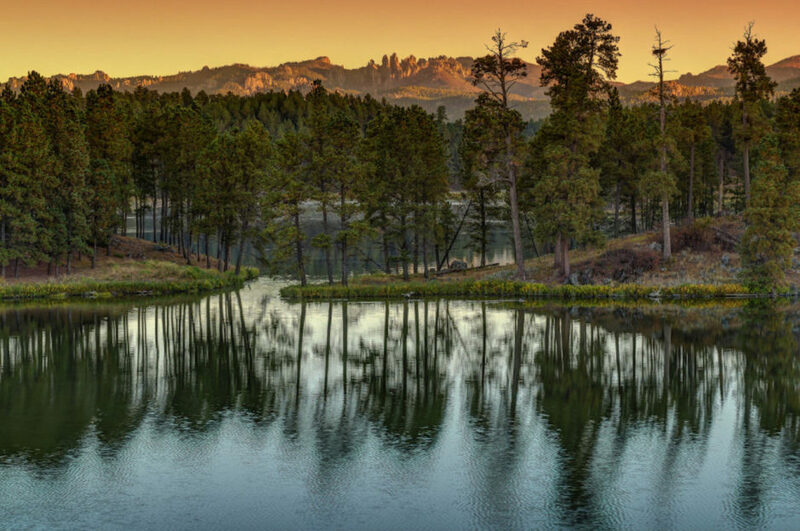 With a swimming beach, hiking trails, and fishing, Stockade is a natural stop on any Black Hills itinerary—the site of the region's first gold discovery is nearby, too. 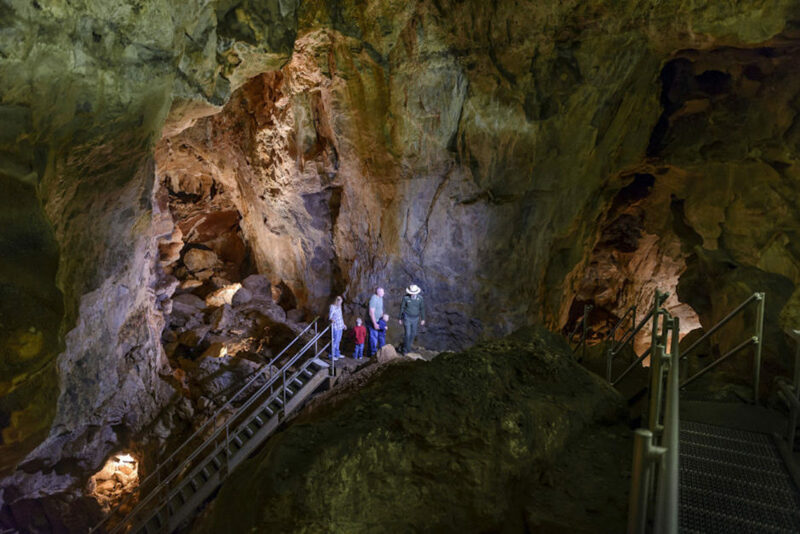 More than 180 miles of mapped passages make this the third-longest cave system in the world. 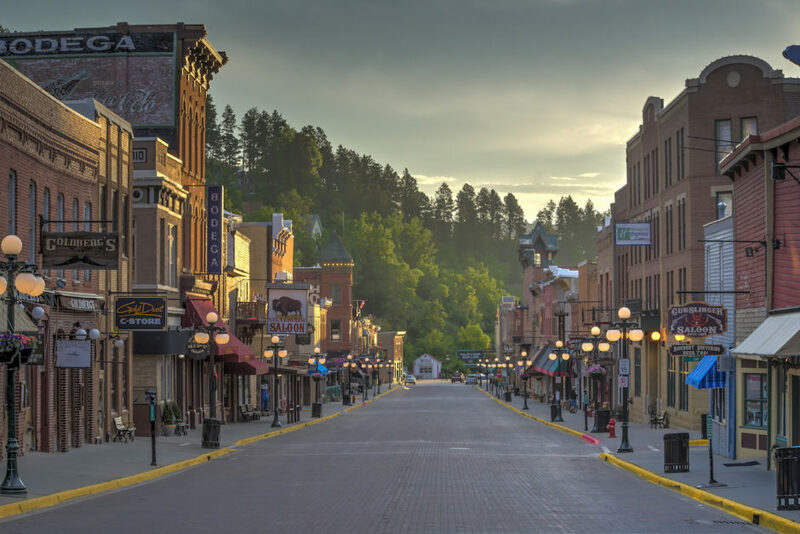 It's 13 miles from the town of Custer in the Black Hills, and visitors can come year-round—just be prepared to duck between calcite crystals with your hardhat and headlamp. 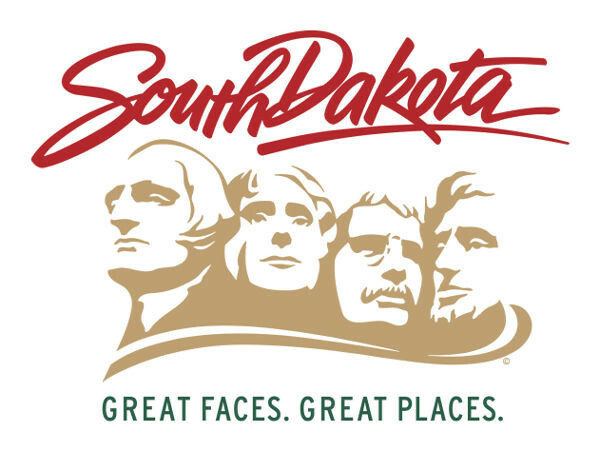 This post is proudly produced in partnership with Travel South Dakota.